Bhubaneswar, Feb 18: The National Human Rights Commission has issued notice to Odisha government over dumping of ration cards. Notably, more than 700 ration cards issued under National Food Security Act (NFSA) were found near railway tracks in Puri district in the month of January. 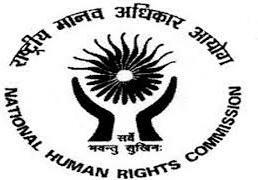 Acting on a complaint of Akhand, a rights activist of Civil Society Forum on Human Rights (CSFHR), the Commission has directed to the secretary of Food Supply and Consumer affairs department to submit its report in the matter. The petitioner alleged that the cards of Ganjam district were found dumped near the railway tracks at Anlajodi in Kanas block of Puri district on Jan 12. Some villagers spotted the ration cards some meters away from the railway tracks. “It is suspected that somebody who came by train from Ganjam had dumped the cards fearing punitive action by the state government. As the state government had warned to action against ineligible NFSA beneficiaries from Jan 16”, said the petition. The dumped ration cards show that they belong to Sanakodanda, Majhigada, Bada Kondada, Gurnaribada, Chitapalli and Sana Padara Panchayat of Bhanjanagar Block. All the cards were apparently received by the beneficiaries and were laminated. Akhand prayed before the commission for a probe to the incident and legal action must be taken against the culprits or erring officials if any involved in the matter. Hearing the matter the NHRC has issued notice to the secretary of concerned department to file a report within four weeks. Julianne Moore in ‘Kingsman 2’?